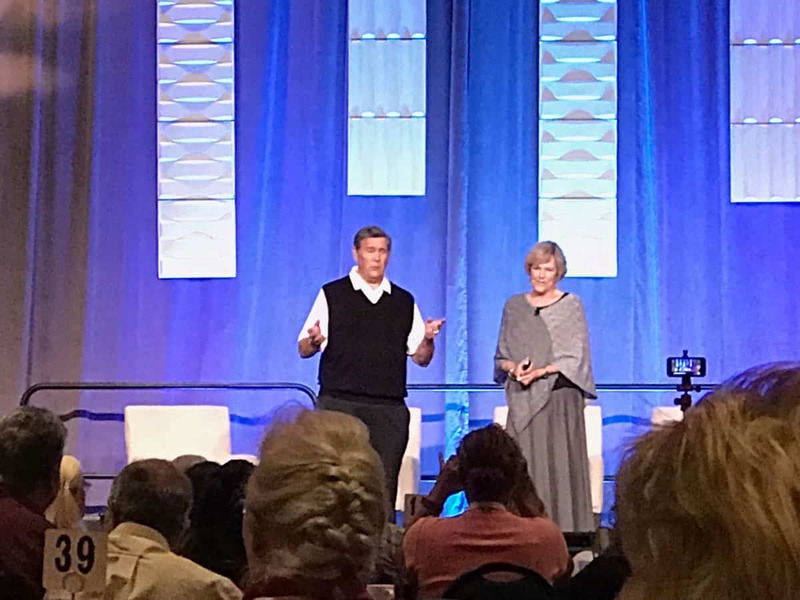 Day 2 of the HomeAway summit opened with an inspiring story from Lynne and Tim Martin, who shared their amazing story of being nomadic retirees living abroad with just two suitcases. Shawn Cordes (Sr. 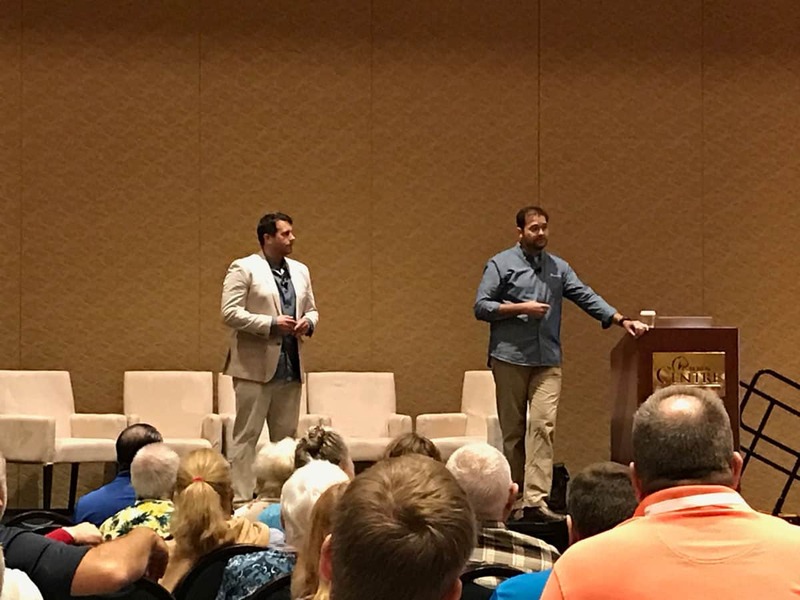 Product Manager at HomeAway) and Dustin Friesenhahn (Director of Product Management at HomeAway) spoke about how leveraging your dashboard and tools can drive bookings and how different scenarios may affect your ‘Best Match’ rating. They discussed how the ability to communicate via the dashboard is key, it isn’t a yes/no platform and the first 4 hours is key to ensuring your traveller converts to a customer. It is highly recommended to set up templates, travellers feel better knowing that you have quickly responded even if you’re not ready to make a decision. You will need to respond to all enquiries, thats how response time is measured (even if its a husband and wife enquiring about the same thing, HomeAway can’t tell that so it is highly recommended to respond ASAP). They’re aware that life happens though so if you can’t respond within 24 hours it is still possible to convert but the travellers credit card is no longer attached to the booking and they will need to re-enter which means there is potential for drop off which means ultimately you are only affecting your own chance of a booking. If you make a change to the booking (like adding a pet etc) the travellers card is no longer locked on file and you will be responding with a pre-approved quote for them to confirm (as opposed to automatically accepting their funds) so again changes to bookings (though sometimes necessary) does not affect your rating but could affect your chance of a booking. Simply editing a quote will NOT affect your ‘best match’ rating (either positively or negatively) however accepting the booking will enhance your booking credit. Cancellation was a hot topic and HomeAway are aware that sometimes the need comes up but it will need to be within your house rules for it to not affect your rating (rather than because you forgot about a reason you needed to stay in the house that weekend etc). As long as you don’t cancel more than the rest of the market you will be fine. Shawn Cordes ended the talk by stating that “if it’s a booking you don’t want to accept just decline it. Be the fast responder, accept the ones you want and everything else will take care of itself and ‘Best Match’ will learn”. An interesting insight in to what can and does affect your Best Match rating. The key features are that you can Accept Bookings, Respond to Inquiries, Manager Your Calendar, Edit Your Listing and Add or Edit Your Existing Photos. As the market moves to ”management on the go” – this app allows you to do this. Dan, suggested that owners test re-arranging the order of photos and test the conversion rates. The focus of the early part of this session was about how important it is to respond quickly to requests to book, this will improve your conversion rate but also how you rank in the listings on the site. HomeAway Owner app also now allows you to add attachments, such as templates, contracts and other PDF documents. The app is also enabling payments and, more importantly, splitting payments so your guests can pay for the vacation over a period of time. 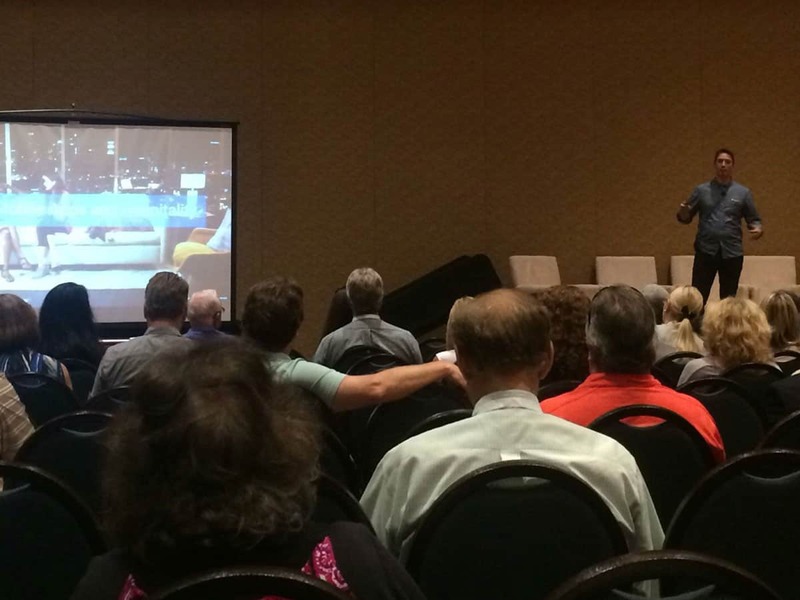 The importance of hospitality seems to be a recurring theme of this HomeAway Summit. The Owner app will soon enable users to be able to add recommendations, and other local information – a great feature for guests. HomeAway believe the trip starts when the guest books the trip. This feature in the app allows you to offer these tips in advance to help your guest plan their trip. HomeAway are aggregating a database that will keep all recommended restaurant website details, meaning the owner will not have to find these themselves. From the guest side, the app will also automatically send the key code at check in time. It was flagged by a attendee that many guests still just want to text. This is an issue that will always remain with digital only solutions to communicating with guests as the onus is on both parties to adopt the same platform. Lastly, Dan stated that “27% of customer service enquiries happen during the night” – check out the YourWelcome tablet that will help streamline / stop getting those late night calls as recommendations and house information will be easily accessed via the tablet left out for guests. The next keynote in the main auditorium took place in a rapid fire sequence of speeches about the new features on which the audience had to vote on their favourite.Chris Walk kicked off by talking about digital signatures for rental agreements, which would be an amazing product for both guests and home owners alike. Lissa Terrel followed up with a talk on Monitoring your Competition With Watchlist features. This allows you to keep track of what your competitors are charging and offering. This feature will help you keep up to date instantly. 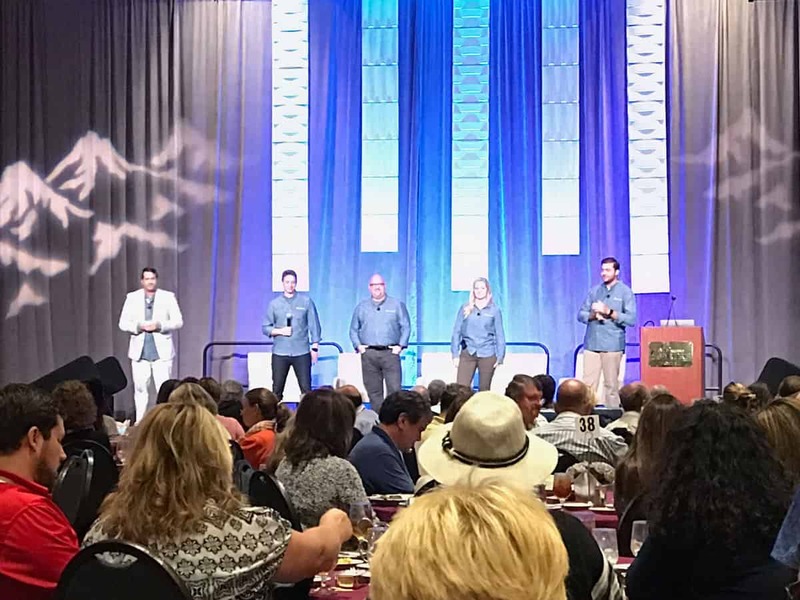 Shawn Cordes then talked about the new reservation reply experience that is coming to HomeAway, including information about the traveller that can help you tailor the experience. Out of office “pause booking requests” was introduced then by Lissa again. This feature is key as the time taken to respond affects both the conversion rate and the ranking on HomeAway – a great feature for property owners. Dan Driscoll then presented the new calendar sharing feature. This is useful for communicating with any staff or services that help with your vacation rental. House Rules for Travellers – this new feature enables vacation rental owners to clearly message potential customers that there are age restrictions or party restrictions. Price editing in the mobile application was the second feature by Dan Driscoll showed how the future of this feature is becoming both easier and more intuitive. Rates On The Calendar and Helping Fill Gaps by Chris Walk was the final feature to be discussed, this is a far easier way to decrease the price per night in your in between periods and fill the gaps in your calendar. It then went to a vote, the room was awash with discussion and debate over what features everyone preferred and using their phones people started casting votes. …and the winner was… All of them! It sounds like all these great features are just round the corner.